Mthembu T. 2013-14. 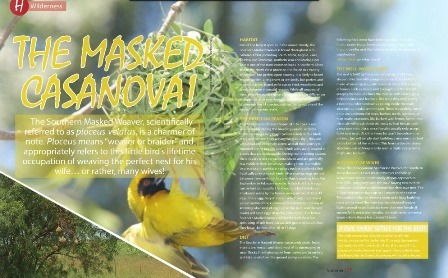 The masked casanova! Heritage Magazine Summer 2013/14: 28-30. Summary. 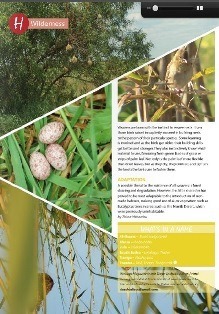 This is a general account of the life history of the Southern Masked Weaver, written for the general public.